The New York Public Library has canceled its controversial renovation plan by Foster + Partners, according to a report in the New York Times. The plan, which would have removed the historic book stacks and turned the non-lending research library into a circulating library, was widely opposed by scholars, writers, and architectural historians. In addition, the library planned to sell their Mid-Manhattan branch and their Science, Industry and Business Library. Now they plan to renovate the Mid-Manhattan branch and maintain the 42nd Street Library as a research library. “When the facts change, the only right thing to do as a public-serving institution is to take a look with fresh eyes and see if there is a way to improve the plans and to stay on budget,” Tony Marx, the library’s president, told the Times. 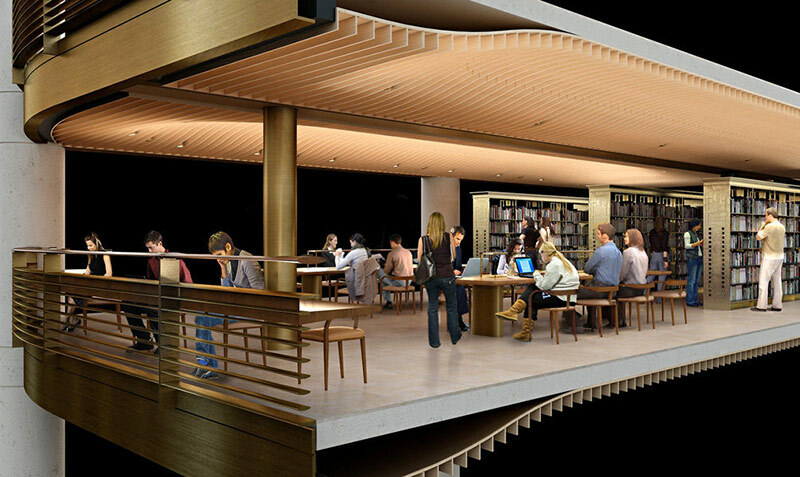 Foster-designed Central Library Plan would have turned the area housing the stacks into new reading room overlooking Bryant Park. While campaigning, Mayor Bill de Blasio opposed the library plan. According to the Times, the mayor recently met with NYPL’s Marx to reiterate his opposition. It sounds too good to be true. But it goes to show that criticism can actually change things! Ada Louise Huxtable writing in the Wall Street Journal inspired us all—and particularly prompted the formation of the Huxtable Initiative (a group of architectural journalists, critics and historians) to protest the insertion of the Foster scheme in the grand Carrere and Hastings structure. 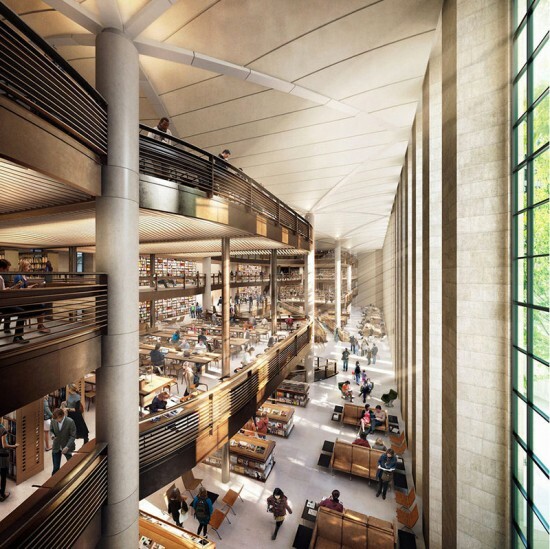 Then architecture critic Michael Kimmelman put the problem on the front burner by writing about the weaknesses of the library’s plans in the New York Times. Charles Warren, the architect, advanced the discussion by revealing the engineering distinctiveness of the stacks that were about to be destroyed. And then of course, there was The Committee to Save the New York Public Library, which just never gave up. When you don’t have big money, you do need a lot of perseverance and people.